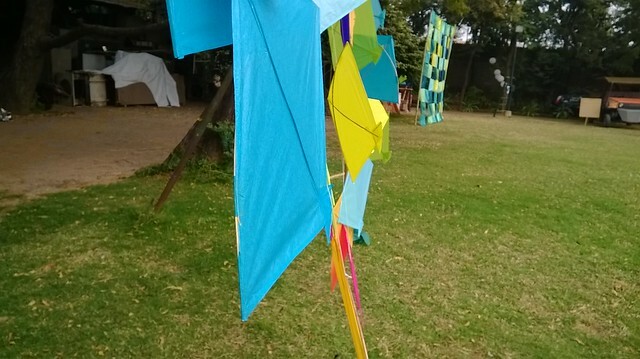 I recently took part in the awesome event ‘MakerFest’ organised by MJFF at NID in the cool city of Ahemdabad,Gujrat. This post is an attempt to cover the event as pictorially as possible. We arrived a day before the event and made preparations for the workshops we had to conduct. That was pretty grueling i must say.. 40 hours of pure insomnia..At the end of the day i had a lot of stuff ready for the event next day! 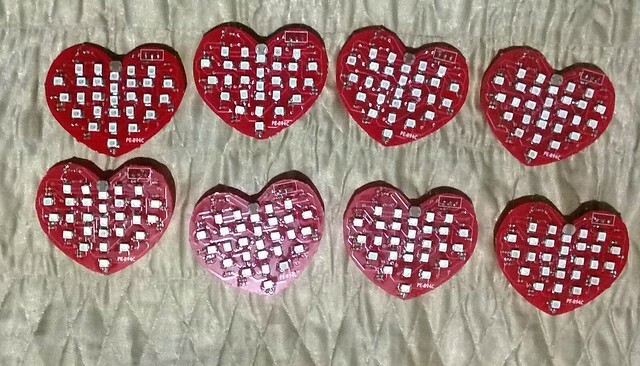 We soldered and programmed 8 Beating Hearts for the team to adorn. 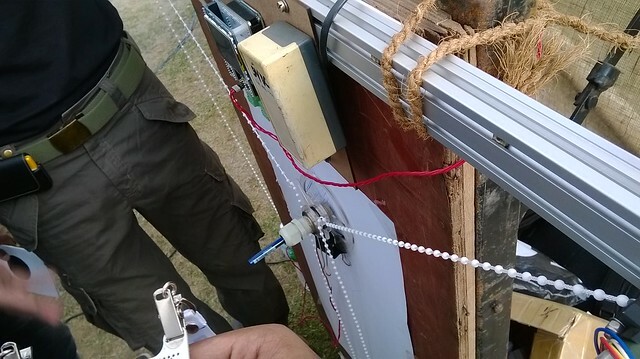 We also made a test rig to test the inductors for boost converters in our projects. After the heart was up and running the view was infact pretty pleasing. 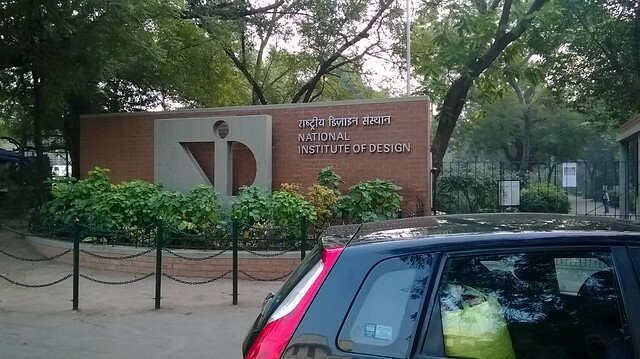 Day 1 was pretty hectic.We reached NID on time. It was a beautiful campus, that certainly justifies the design part in their name.We figured out our stalls had not been assigned and went on to set it up ourselves and soon we were being barbecued in sun.Wrong spot we chose? 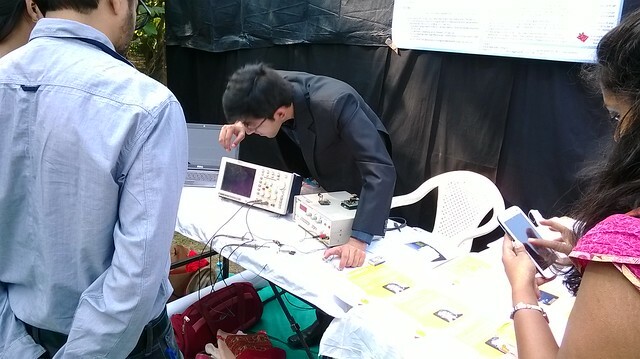 Thankfully reinforcements arrived from the college and we were having people coming from all walks of life at out stall,Some engineers, scientists from ISRO centre,designers and what not! As other were busy explaining and my curiosity thresholds were being compromised,I went on to have a look at what other were showing! There was an interesting concept of plug and play boards to learn electronics.It basically has lot of different modules like amplifiers, adders, USB power,capacitive sensor etc. 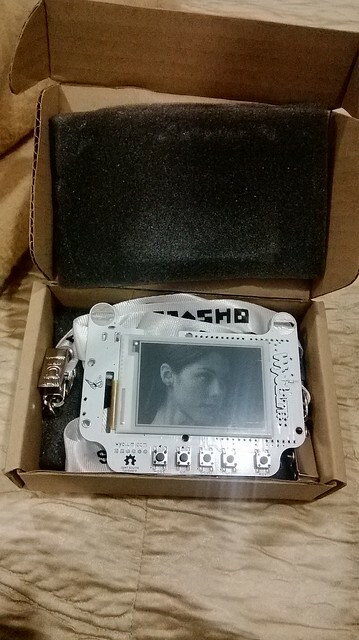 that can be plugged to make projects. I suggested him to add Arduino or any microcontroller too. He said it should be more of analog to learn better. 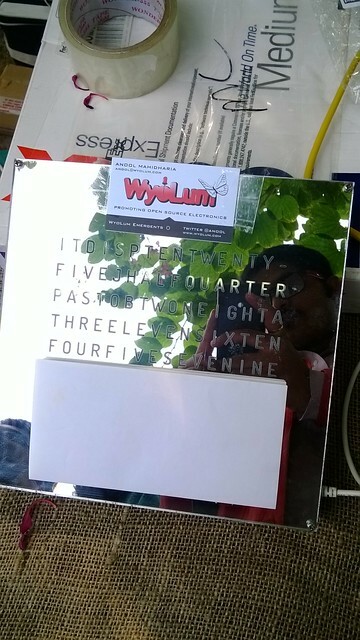 I also saw the clock made by Anool from Wyolum.com .I could not find him the first day.But managed to catch up with him at the lunch counter the second day! It was Nice meeting him! 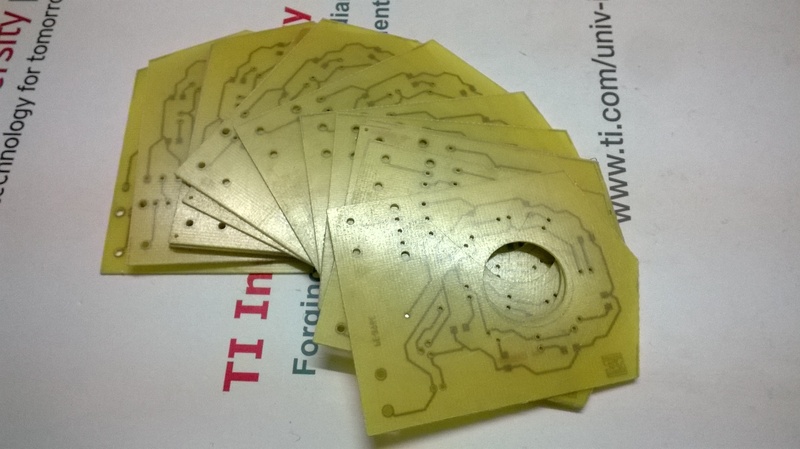 There was also a representative from mLabs showing off their “Memristor” work! A team from Autodesk was also demonstrating their Autocad123D and other softwares at the event.They even brought a MakerBot to show the prints. It was damn good. 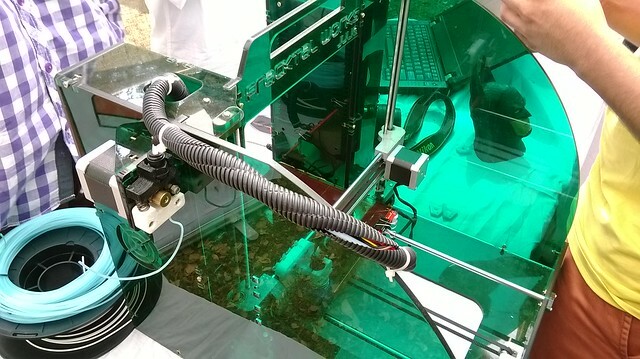 Since now we have started talking about 3D printers, There were a lot of 3D printers being showcased at makerfest this time around. 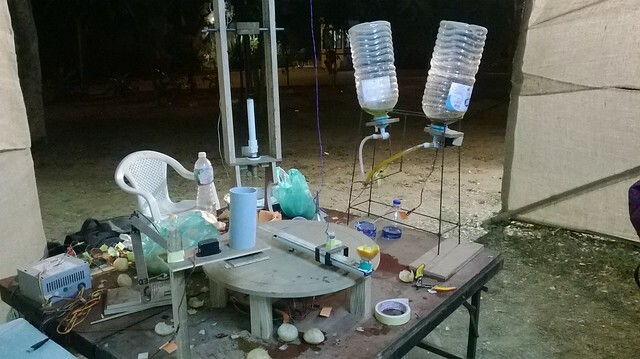 They were made for Makers and well as industrial purposes.Its glad to see the revolution picking up in India. 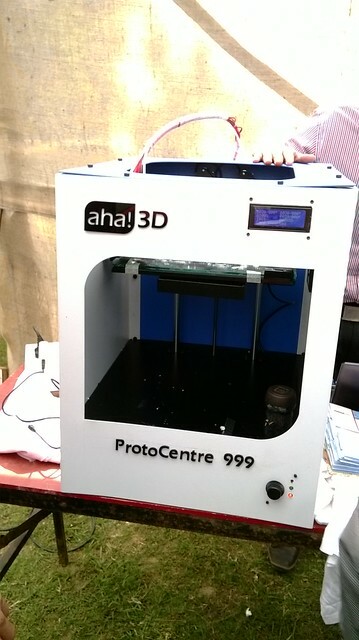 This is a 3D printer for commercial purposes by aHa Industries. 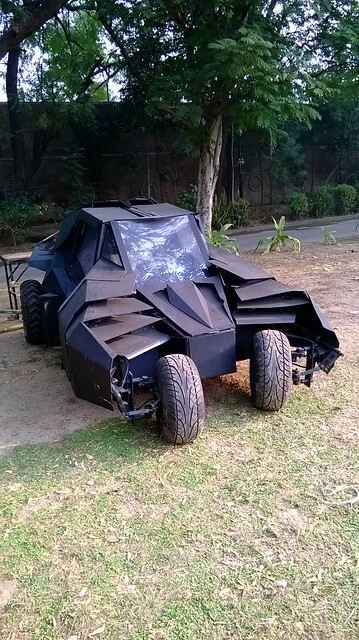 They are based out of Rajasthan! 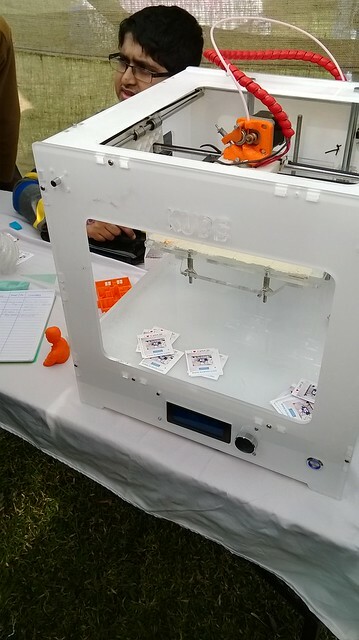 Karan from KCBots also demonstrated his 3D printer which can be had for about 40-45k ( $720 ). It supports PLA only as it doesnt have a heated bed. 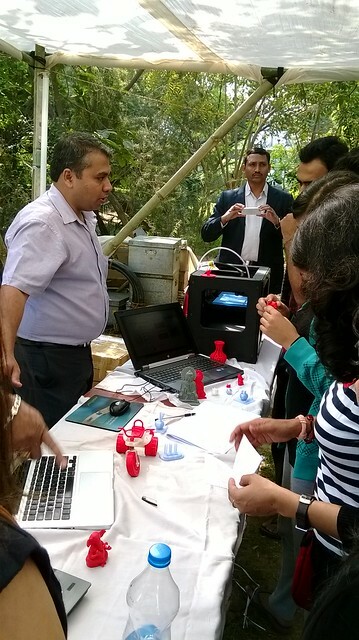 Students from Manipal, now a startup called Fractal Works, also showed their 3D printer.It supports ABS too. 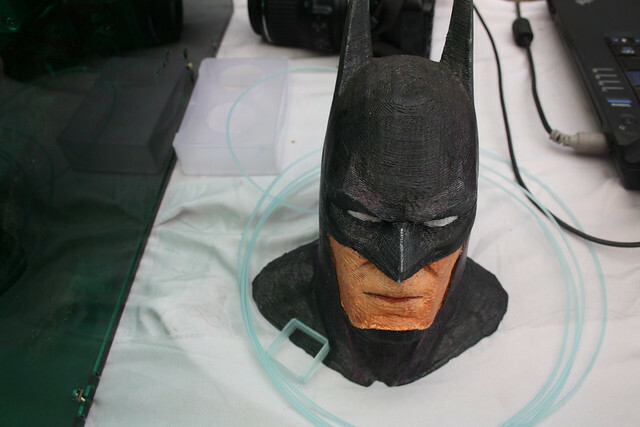 They printed a batman mask! 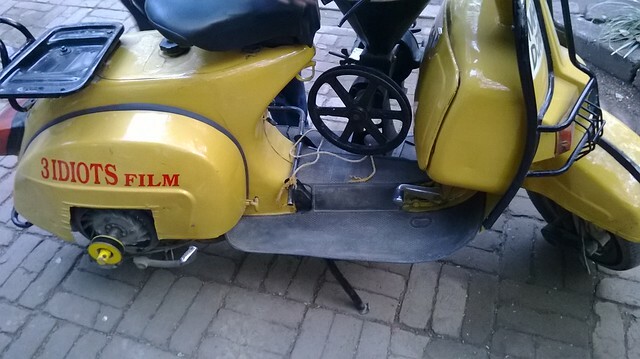 Then i moved on further to see the scooter from the movie 3 Idiots showcased by its creator. 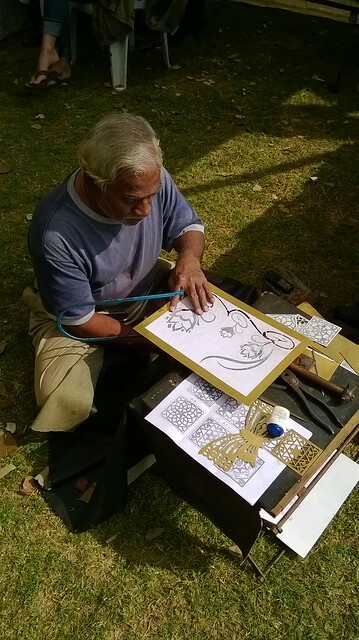 Indian Craftsmen from an NGO were demonstrating their work.Its a pity how automation has hit their belly and NGOs are supporting them so that the art can be preserved. 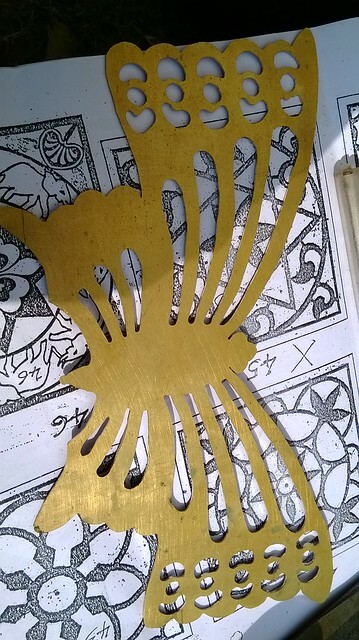 He made a nice butterfly by placing the pattern and cutting it, while i was standing and clicking pictures.. I could not see more on DAY 1 as I had workshop to take on “Illuminated eye Loupe”. 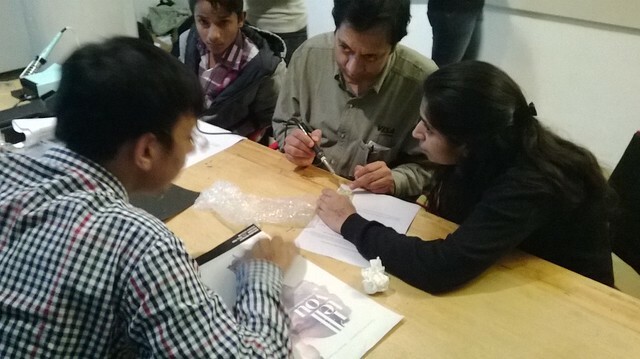 Here are some pics from the workshop. Next we packed our stuff up and headed to the guest house to get ready for the next day! 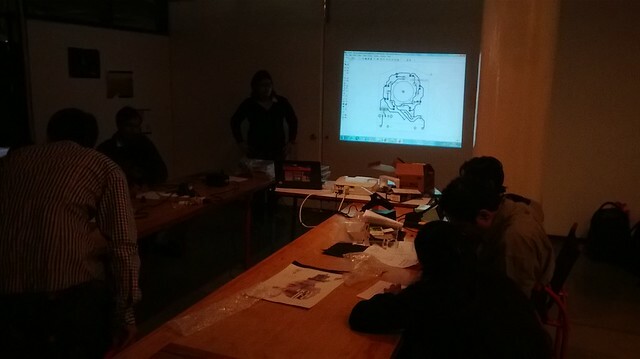 We had a lot of workshops the next day like the LedDoodler, Batteryless Remote, Batteryless Dice etc. Since, we had a larger team now, so, we divided the manforce into halves such that one would manage the stall and another would do the workshops.I chose booth and frequented both spots so that everything goes on smoothly. In the time i saved from lunch, I visited the spots i missed earlier. 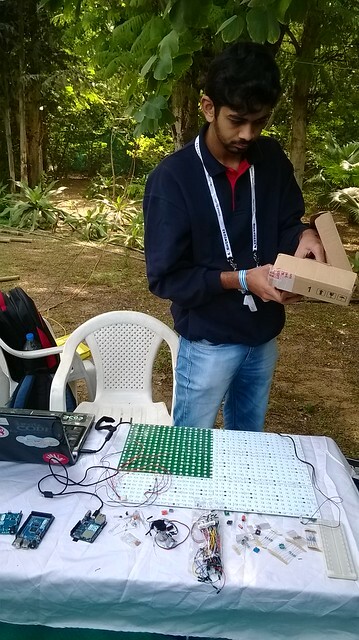 It was cool to catch Ankit Daftery from Arduino India showing some interesting stuff with Yun and Tim LED matrix from Wyolum. 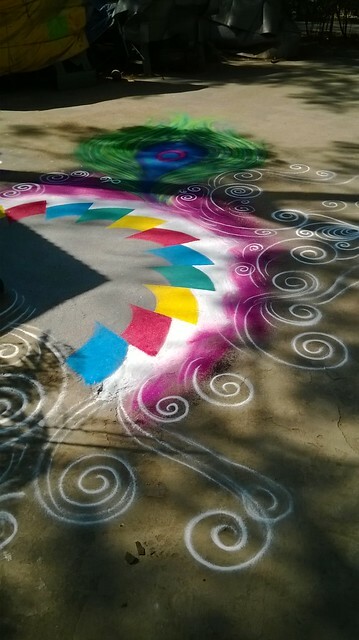 There was also an extremely nice rangoli made near the entrance showing the MakerFest Logo ! 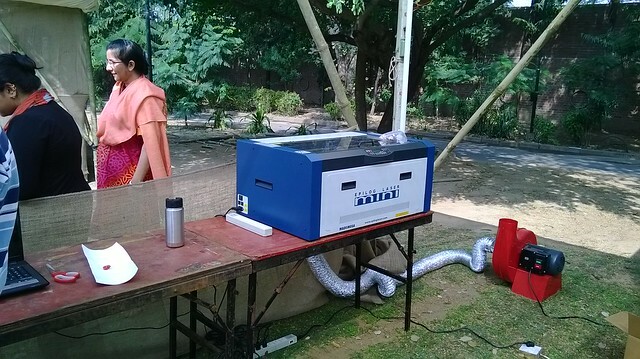 I also saw the EpiLog Laser Cutter at FabLab Stall in the MakerFest itself. Its a great machine(tool),wish i had one :D. They also showcased the other fablab machines like Roland CamRunner Vinyl cutter, Weller soldering Stations etc. 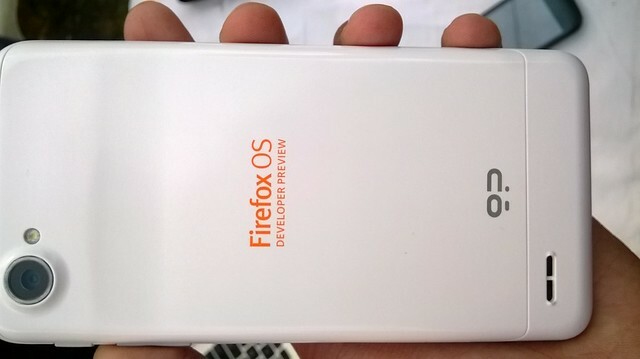 I was amazed to see mozilla foundation at the event demonstrating the phones running..firefoxOS. 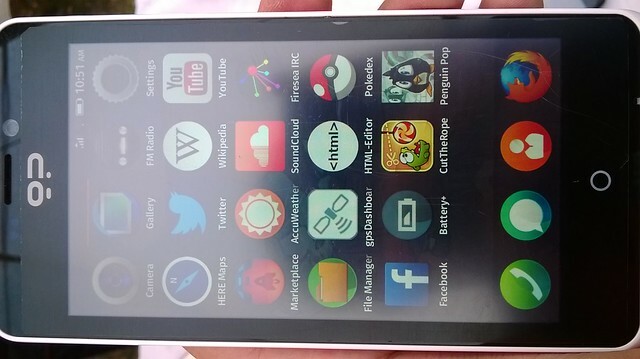 For the curious ones, Its a pretty cool OS, based on Android itself but runs a different event or application layer. It has better battery performance and it was pretty smooth! 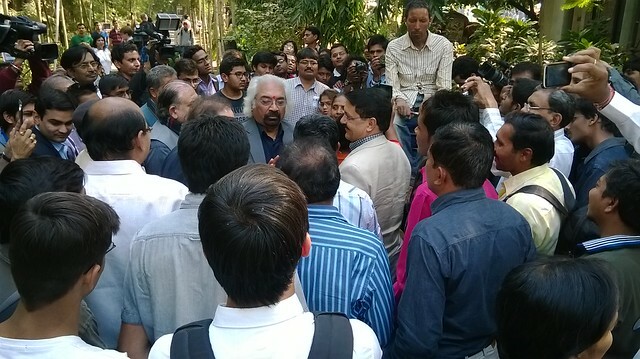 While i was running back to the boardrooms where workshops were being conducted, i managed to catch a glance of Sam Pitroda,Advisor to the PM and Head of NIC. 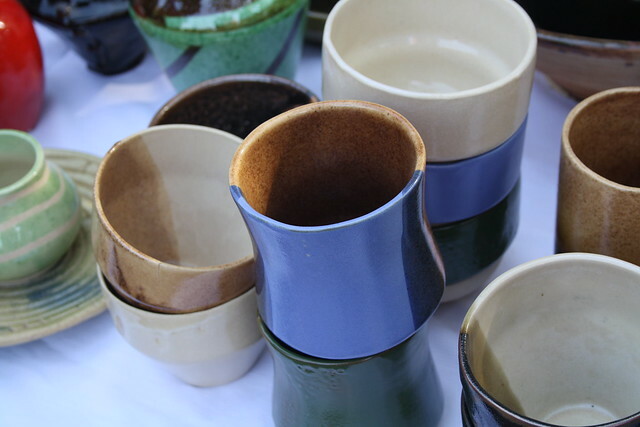 There was a setup showing how Ceramic glazing is done and they had these nice cups that caught my shutter. I also saw the plotter bot made by anool from Wyolum.It uses curtain fittings and water bottles as counter weight.Its really a nice idea that i will test shortly! 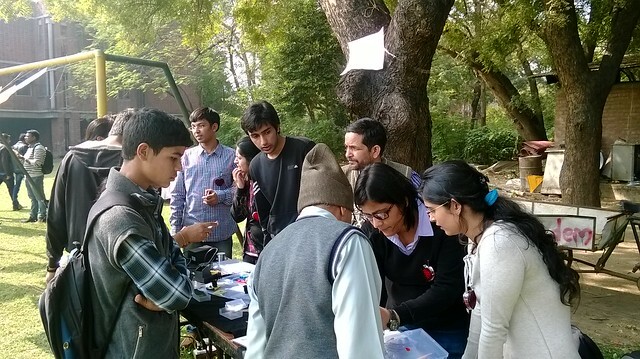 There were other fellow student exhibits showing an Electrified Bicycle, a DIY Microscope, A Life Aid for Hearing Impaired and a puchka (aka Gol Gappa) maker. The workshops were jam packed today. 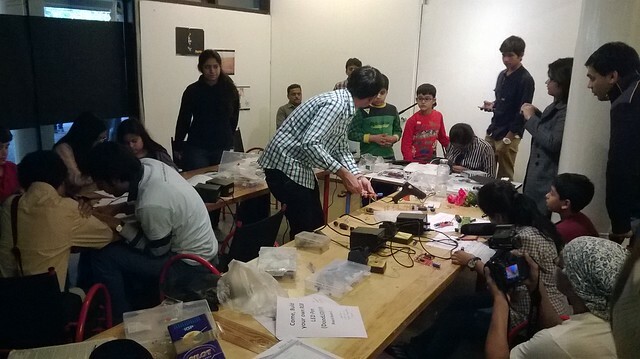 We saw people from all walks of life coming,seeing and making electronics.It was fun teaching and interacting with them. 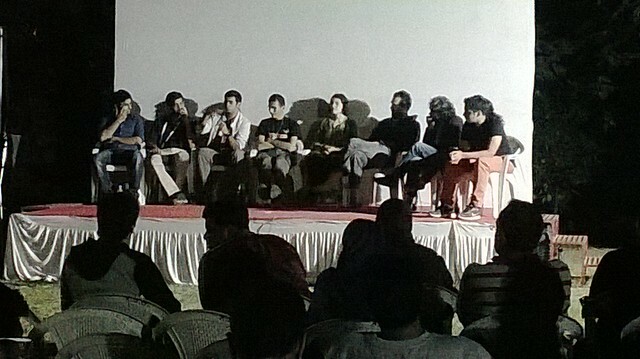 The day ended with a panel discussion on stage, where several issues related to maker movement were discussed. A point by someone that i remember was that The Father of the Nation, Mahatma Gandhi was a maker himself and the maker culture is inherent in India. What needs to be done is to bring out this maker from our hearts and minds out in open! Soon, we were on our way back to the guest house where i open the Badger Anool gave me and felt delighted! Prof.Dhananjay V.Gadre for mentoring,helping and guiding us all along. 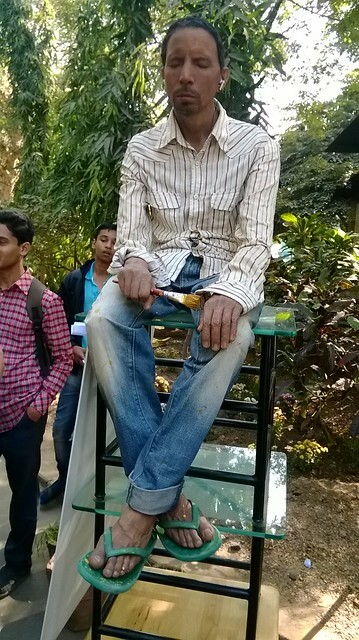 Vinod Sir for being with us always and managing the work and helping us by saying “Chinta Mat Karo, Sab Ho Jayega!”. Priyanshi for arranging accommodation and making us feel home. Nidhi,Saral,Netal,Ishan,Ritika,Priyanshi for being a great team to be with! You can have a look at the Flickr Set here! Other pics i pulled up from other peoples systems are here on skydrive(soon to be OneDrive)! Happy New Year Readers.. Wishing you a great one ahead and hope you get to do what you love to do and excel in the same. 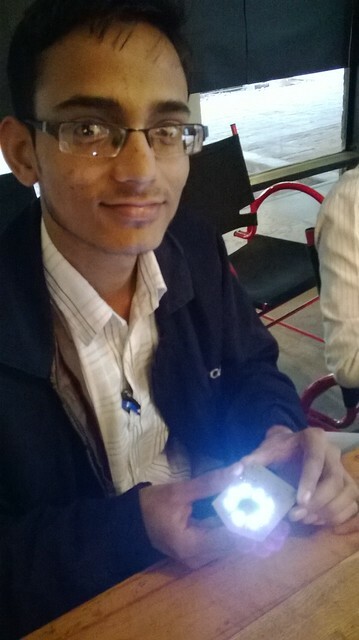 This new year, I am going to MakerFest 2014 organised by Motwani Jadeja Family Foundation (MJFF). This is probably the first of its kind event in India where several makers of India come up to a single platform to collaborate,teach,learn and evolve. This edition is being organised at NID,Ahemdabad from 4-5th January and has a lot of awesome makers coming( I know some only sorry! ) including Anool Mahidharia, who was behind the OSHW Badge that had a pretty cool paper display and lot of cool other cool makers. You can see other makers coming to the event here . There will be lots of fun workshops taking place , and i am also taking one.. Its called Illuma Eye Loupe. 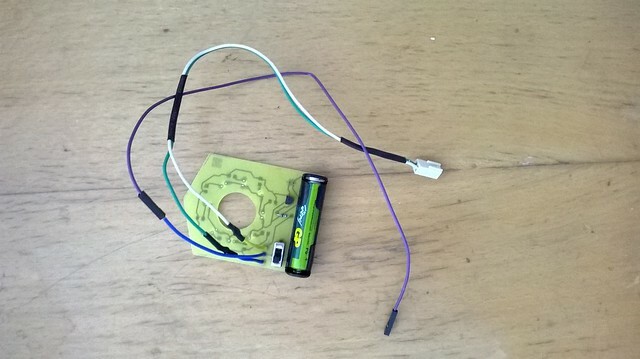 What it involes is having a single battery driven LED illuminated eye loupe that helps in taking a closer peek at those SMD connections we make. Normal Eye Loupe makes it darker as we close up and not everyone enjoys the luxury of having a personal USB microscope/or even a normal one. So, we used to have this problem while working in the lab(TI-CEPD) and hence, the solution was found by making an illuminated one. There were several design iterations (4, I guess ) for the same. 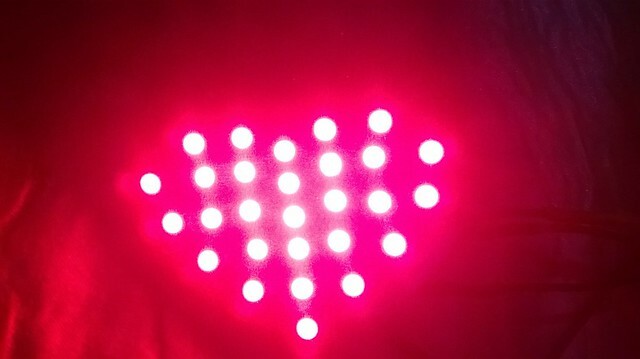 First we tried with a normal perfboard and used a 9V battery to do the job. But the battery was very clumsy to handle as one hand would always hold the battery.. Then we tried with other batteries but they wont last long. 2xAA would again make the form very big!! 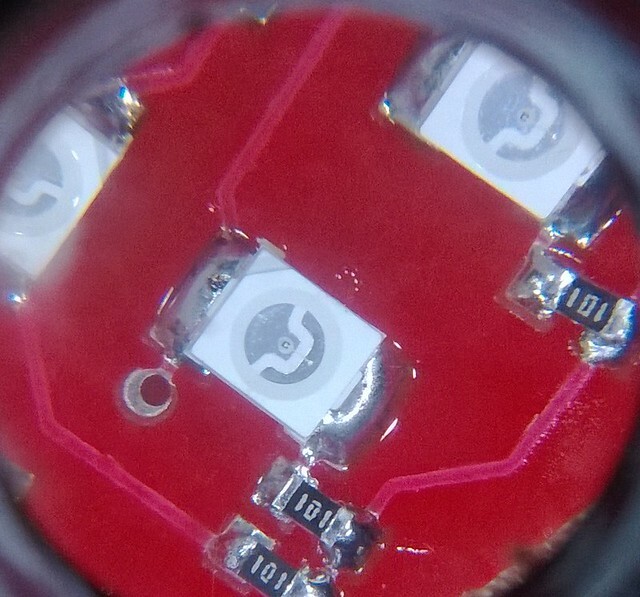 So we went for a Single integrated PCB that would have an inexpensive boost converter that would boost the 1.5V from 1xAAA battery into 3-3.7V for the white LEDs. 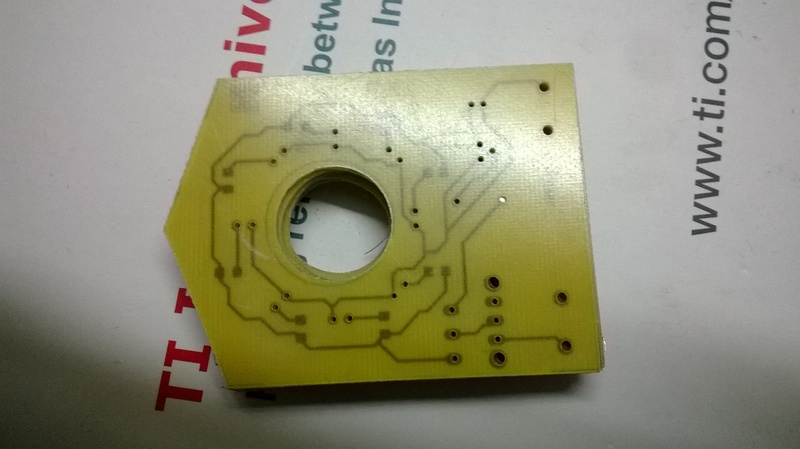 Now, when using the thru hole LEDs the form got a bit thick and hence in the final version we went for the SMD LEDs. 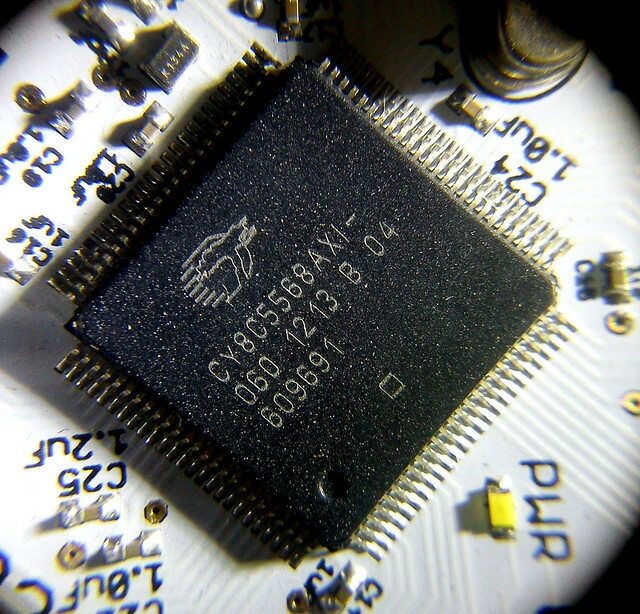 I have a couple of images on flickr of the photographs you can click using a cell phone camera and this eye loupe(earlier version). 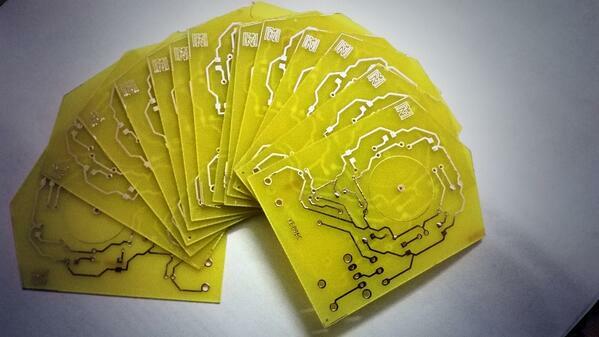 So, Once we were final with the design, We sent the designs to a local fab house to get the PCBs made. We got them just in time..Here is a pic of them.. Unfortunately, The Fab House didnt drill/mill the centre eye loupe hole. This is what i am doing now.. using an old-blunt-misaligned spade drill bit a file and a dremel. Go to market and search new spade bit. Step 1 , Didnt work.Hammer the bit to make it somewhat aligned after securing it in the vice. 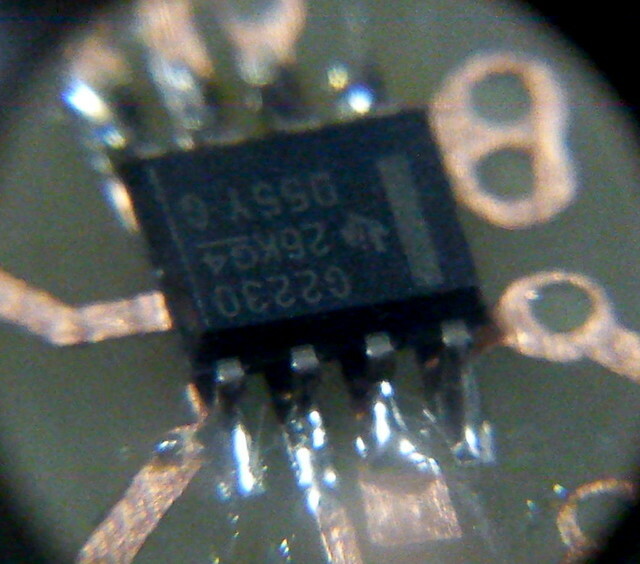 Step 2, didnt make things that good..
Use a dremel with a sanding bit and make them smooth to fit the loupe. 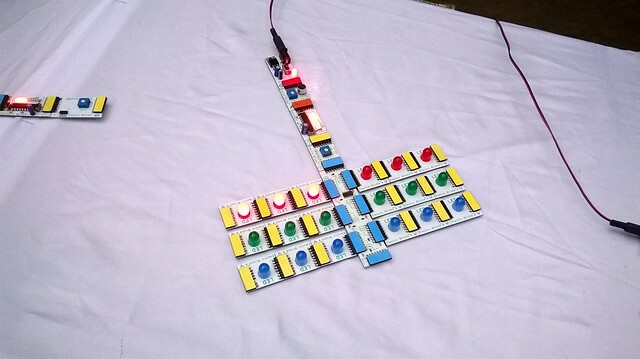 There are a couple of workshops folks at TI-CEPD are orgainising..
We have a RGB doodler by Nidhi ,A batteryless TV/DVD/STB Remote by Ishan and Netal , A Batteryless Dice by Ritika n Priyanshi and A very Easy to make homo-polar motor by Saral. I would like to thank Texas Instruments India for funding our travel, Nidhi for setting everything up, Prof. Dhananjay V.Gadre for helping,guiding and motivating us at every moment and Priyanshi for arranging accommodation..